Boomerang Air Charter is expanding its service on Florida’s West Coast. PINELLAS COUNTY – Boomerang Air Charter i s adding additional aircraft toe service the West Coast of Florida and will base those place at the St. Petersburg-Clearwater International Airport. The decision comes as a result of strong growth, company officials said. The new PC12 aircraft will fly such routes to the Bahamas; Key West; Nashville, TN; and Atlanta. 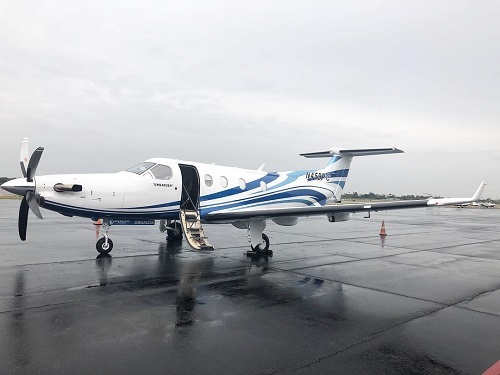 Pilatus PC12 aircraft allows clients to travel with up to nine passengers and enjoy a VIP experience in the luxury cabin that is larger than a mid-size jet for about half the hourly cost. The PC12 climbs to 28,000 feet and travels at 300 mph, making trips to Chicago, Washington, DC and other cities very accessible. Boomerang also serves the business traveler with “Out and Back Fast” executive day trips. Since 2003, Boomerang has provided air charter services for business and personal travel. Offering service to more than 5,500 airports across the country, Boomerang is located throughout the southeastern U.S. as well as Dallas. The company can fly to any airport. For information about Boomerang, go to flyboomerang.com, email: info@flyboomerang.com or call (904) 404-8108. Photo courtesy of Boomerang Air Charter. Boomerang Air Charter is expanding its service on Florida's West Coast.